So as most of us are undergoing interior updates for our cars, the RNS-E, Multifunction Steering Wheels and alike. There is one thing I’d like to change, the climate control. Now mine isn’t in bad condition at all for a soul black one. But I’ve search around all the Audi car models and this is the closest I could find to a match, size wise and connectings. 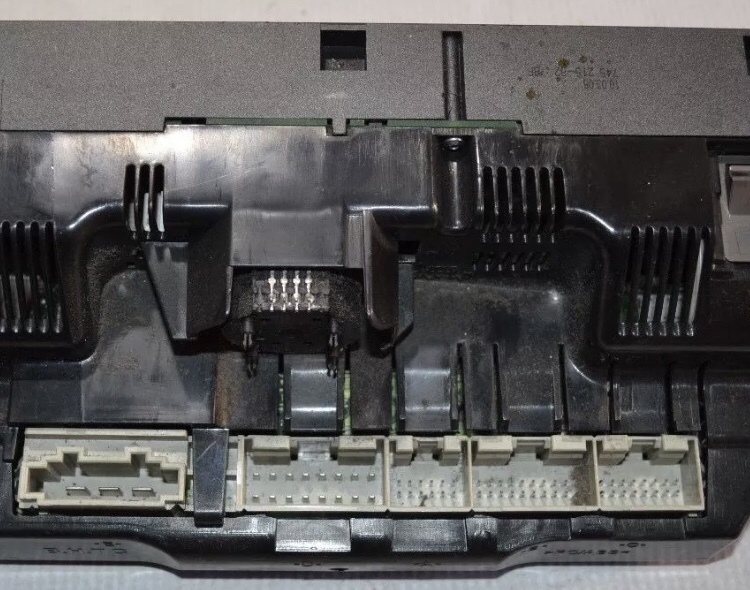 Take note of it’s size and connections, 4 block connectors with several pins and a 2 pin connector which I’ll assume is its power. Looks the business, nice small chrome accents and to top this off you can replace the RNS-E dial knobs for the same style! To make it match and look like a 3G MMI RNS-E. Same number of connections but obviously a different style block, some re-pinning and I think that would work. We are determined to make the interior of our cars Frankenstein’s. 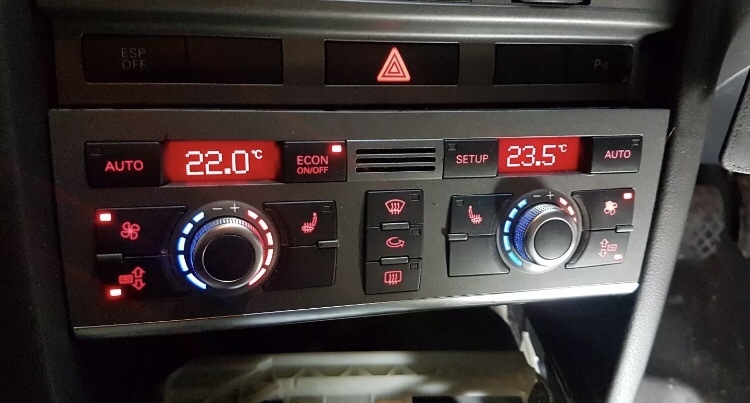 A4 RNS-E, S3 8P gear knob, A5 multifunction steering wheel, S3 8V airbag, TT foot pedals and possibly A6 climate controls haha! I’m going to buy one after a bit more research, match up wiring diagrams and see how it measures up. 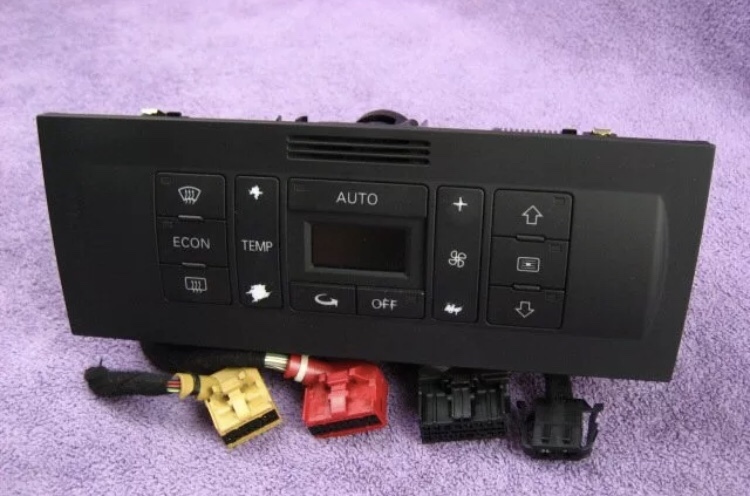 PT you make some good points on the Canbus side of things, weather it’ll actually turn the heated seats on as well too. 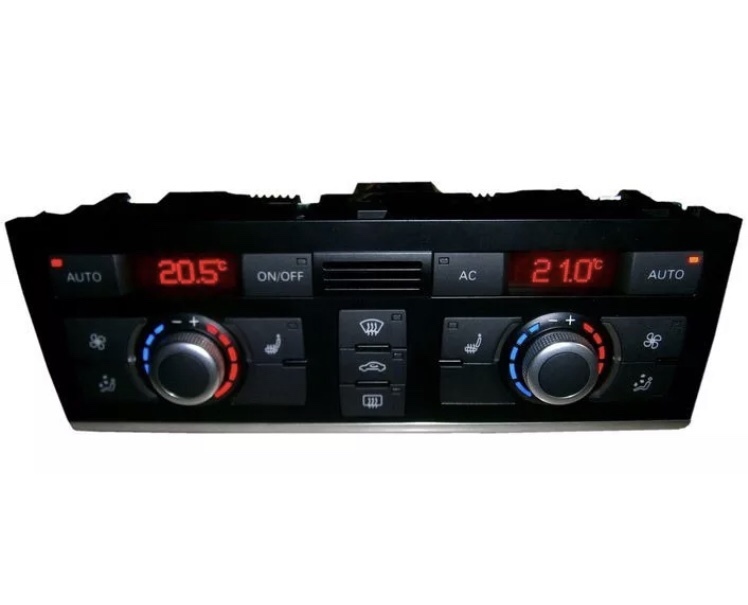 I don’t remember seeing anything in VCDS either for any coding or adaptions for a climate control module. Excuse the quality of the pictures, I’m having to use what’s available to me on the internet. But from studying the connections closely and counting the number of pins... they are a 100% like for like! 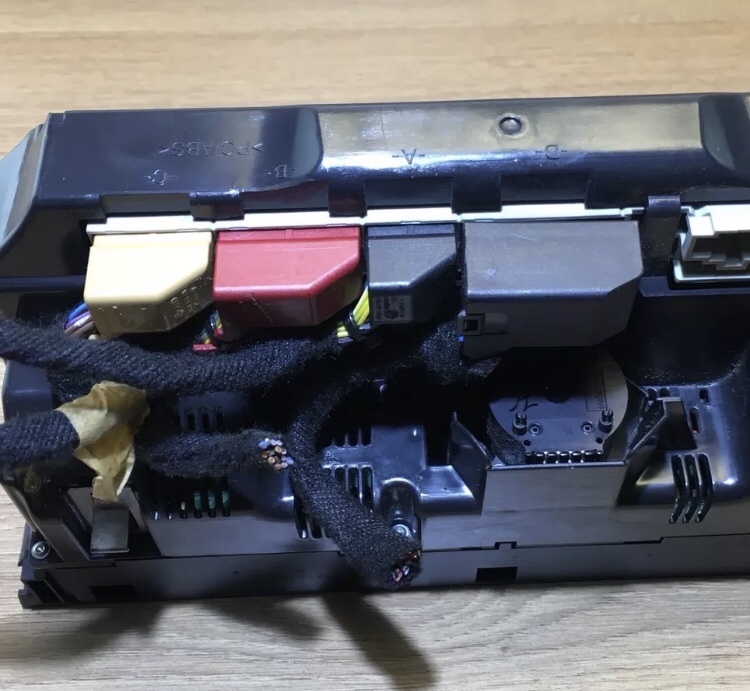 The only connector that differs between the two is the S3 8L has a 2 pin power connector and the A6 C6 has a 3 pin power connector. 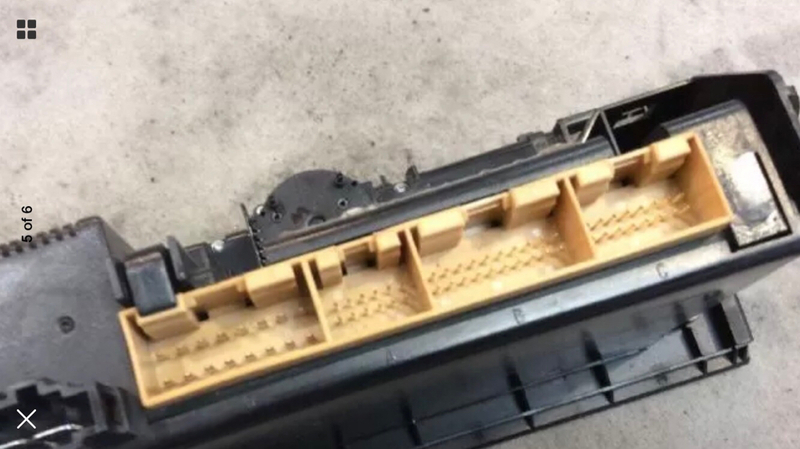 Even the size of the connectors look the same, who knows.... could be plug and play, very much doubt it though. 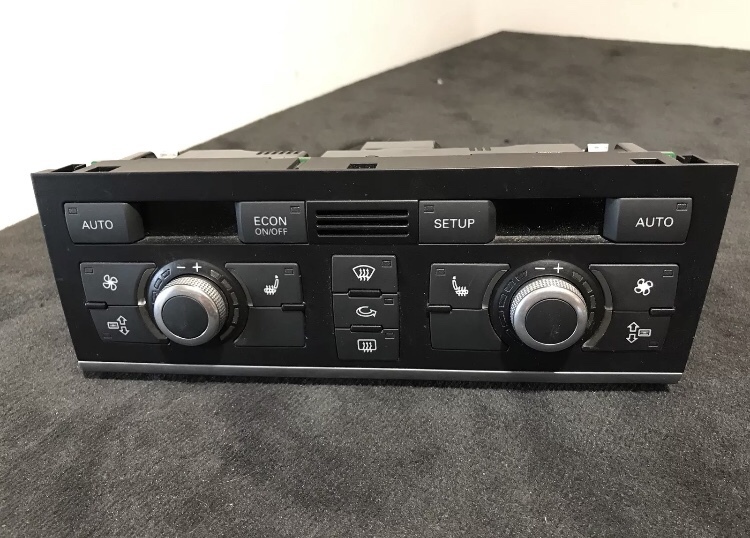 Hi all, I’ve gone ahead and bought an A6 C6 climate control can someone kindly give me the measurements of the S3 8L climate control please? Thanks PT, ok so I’ve measure the unit and I’ve got. 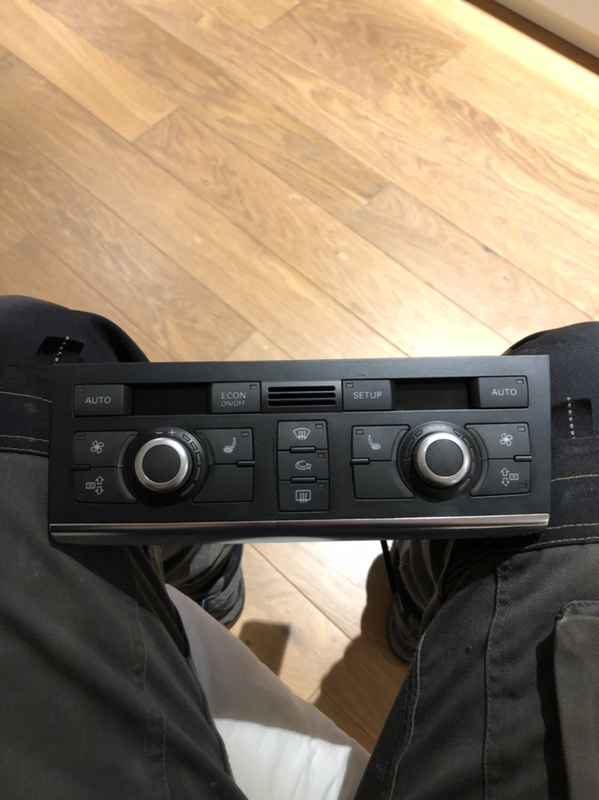 Obviously lots of trimming involved on the sides and the bottom just like the A4 RNS-E. For the double dinn it’s going to be very tight on the bottom two buttons for the vent direction. Some of the chrome trim at the bottom will need to be trimmed and rounded at the edges to match. If you have a single dinn then it’ll be less to trim and easier to fit. Before I start trimming I’ll wire it all in and see if it communicates properly, functions, etc. You looking to of load any of them spare ones? Was going to ask the same thing as they look great. No prob tuffty. You know what they say "if you don't as you don't get"
Right.... well, this is going very slowly because I can’t even remove the existing climate control. I’ve tried everything, searched everywhere and everyone is saying, press down the top clips and pull it out?! I’m sorry but that’s just not right. This thing is not budging at all. Sounds right to me, my climate has come out using that method every time I’ve had it out. Does take a very forceful pull though. It’s the bottom mate, it’s literally not wanting to come out to the point the whole center console wants to come out while I’m pulling from the back of it. There’s 2 clips on the bottom as well but no way of getting to them hence the forceful pull to get it out, a lot of people break the bottom clips getting it out as it’s that tight!! My unit is double din and I used a couple of 'butter spreading' kitchen knives slid under the unit. Tj 0785 and warren9022 like this. S3AMJ and warren9022 like this.